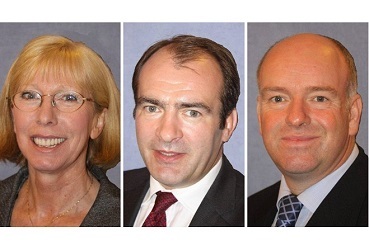 Nominations have been finalised for the Island's next Chief Minister. Mrs Beecroft has been proposed and seconded by members Lawrie Hooper and Julie Edge respectively; Mr Cannan by members Chris Thomas and Martyn Perkins; and Mr Quayle by members David Ashford and Ray Harmer. Rushen MHK Laurence Skelly, who was widely rumoured to be in the running, will not compete for the role. The voting process will take place during next Tuesday's Tynwald sitting, which begins at 10.30am. Before that, the candidates vying for the top spot will draft policy statements, and field questions from their parliamentary colleagues in a 'hustings' this Friday.